GE Inspection Products was a division of GE’s larger signaling and communications division, part of GE Transportation. 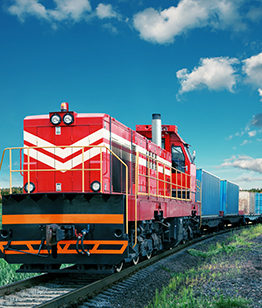 GE Inspection Products designs, manufactures and sells hot wheel and hot box detectors, data acquisition systems, draggers and other related inspection products for the global freight and passenger rail segments. Ameridan was engaged by a strategic buyer to provide buy-side M&A advisory services. Ameridan’s services included acquisition search, interfacing/negotiating with the sell-side investment bank, valuation advisory (including comparable transactions analysis, public comparables, and discounted cash flow analysis) as well as transaction structuring and process advise. Master wholesaler of paper products and janitorial supplies. Distributor of aluminum and titanium extrusions and tubing.